Last year I was fortunate to cover the Horsemen’s Reunion in Paso Robles. The evenings festivities included a concert for a charity and a chance for live music. 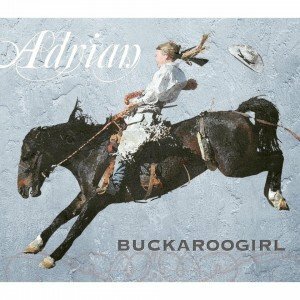 Adrian, known as the BuckarooGirl came on stage. A girl with pretty blonde hair and a big guitar. She told stories and sang everything from the foot stomping Buckaroo Barbie to the ballad Branding Pen of my Father. When I looked into her background as a potential guest, I was constantly impressed by how much she has accomplished in your youthful twenty-three years. We sat down for an hour and could only cover a portion of her life. She’s a wonderful storyteller, full of energy and life. Adrian grew up in the country, lived in Scotland for a time, and has studied opera. She writes her own songs, has a fashion blog with her sister Lizzie, does YouTube videos, and has a league of followers on Pinterest, Instagram, Twitter, and Facebook! We caught up to her on Winter break from college (yeah, she goes to school too!) and she talk about her origins and the important things in her life. Adrian told us what it was like to make an album at 14 (Highway 80) and then to follow it it with Boots and Pearls. 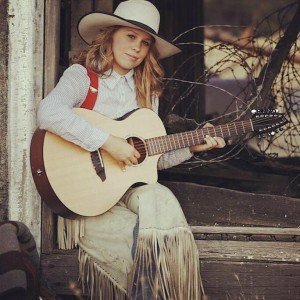 She also tells why the music in her latest album Buckaroogirl is so important to her. She’s was generous with her time and one thing is for certain, she is not afraid to speak her mind. 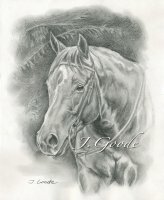 You can find all her albums on Buckaroogirl.com and CDBaby as well as iTunes. Each week on the show we talk about some aspect of owning a horse. It could be feeding or supplementation. It could be bits and bridles, tack, or cowboy boots. We cover training problems, or competing in shows from ranch sorting to trail classes. We talk about farriers and horse chiropractors. And, we travel to places we think you would like to take your horse. That’s what the Whoa Podcast is all about. Today’s show is very special to me. I really love music – it’s a big part of my life – I can’t play a lick, but it can lift my mood, bring back a memory, or just help past the time. I’ve been looking for ways to incorporate more of it in the show.